From CMS websites to Inventory Management Systems we’ve got you covered! Our consultants help guide you to make the right decisions for your business. From out of the box software integration to custom software creation, our software specialists can help! Whether you are a large corporation looking to update your existing website or a new business looking for a website to start establishing your presence online, WebDuck Designs has the experienced web developers and expertise to handle all of your online needs. WebDuck Designs is a Minnesota website company located approximately 40 minutes north of Minneapolis & Saint Paul in North Branch Minnesota. Our MN website company has developed custom websites, intranets and mobile apps for customers all over the United States. Whether you are a large corporation looking to update your existing website or a new business looking for a website to start establishing your presence online, WebDuck Designs has the experienced web developers and expertise to handle all of your online needs. If you are in need of a new website, marketing material or web development consultation then send us an EMAIL or give us a call at 651-674-3834. At our Minnesota web development company we do things a little differently than your average website company. Before we begin designing, building, or marketing a single web page our web developers take the time to research you, your company, and the industry / subject matter you would like your website to be about. This initial research allows our MN web design company to work with you in planning a customized strategy designed to maximize your presence on the web. 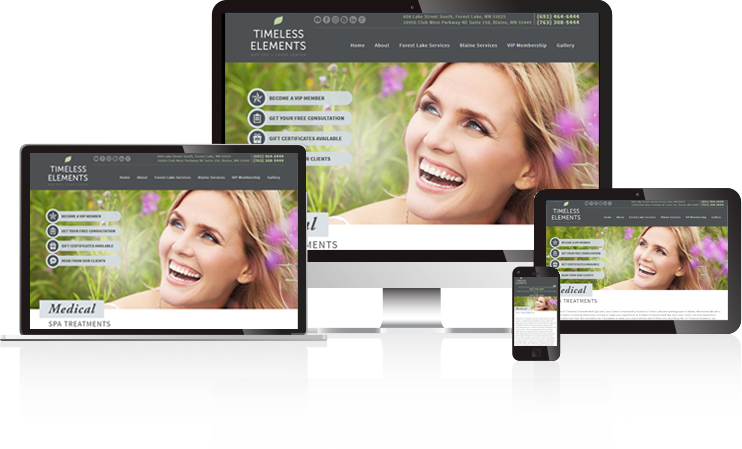 Properly planning a website allows you to have a successful website that will grow with you over the years. Since 2000 we have worked with hundreds of businesses and non profit organizations to create custom website solutions designed to meet their own specific needs. Our solutions have helped make our clients millions of dollars, are you ready to make more money? Increase your Profits? Grow your business? Find out for yourself why so many companies look to WDD for all their online needs. I have found Webduck Designs to be easy to work with and very responsive. Everyone who has ever looked at our site has been impressed with it's eye catching appeal and functionality. I whole heartedly endorse them as a provider I think anyone would be happy with. am 100% satisfied with my decision to work with WebDuck Designs. They are professional, honest, prompt, and do great work! I would recommend WebDuck Designs to anyone looking for a website. Rebecca's vision and her execution of that vision took our website up to the next level. We have been not only pleased with the redesign but also are enjoying a tremendous uptick in traffic with Google, all attributed to Web Duck Designs' work.